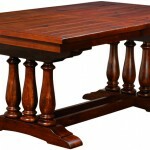 Amish is known for providing honest yet simple lifestyle bearing trendy furniture, crafted by highly skilled woodworkers. The furniture items are generated through hand driven general tools, in order to in fill more strength and designer effect among the products. Amish Furniture Gallery offers a wide range of furniture made from solid wood of Mapple, Cherry and even Oak. Induction of solid wood helps to give extra durability to the furniture. Amish furniture is mainly designed and crafted in America. The company came into the forefront since 2003. Corporate office is located at Verona, WI. Dinning sets, wardrobes, kitchen tables constitute crux of wooden furniture manufactured by them. There are currently 0 consumer reviews about Amish Furniture Gallery available. Share your review. Please take a note that you are about to post a public review about Amish Furniture Gallery corporate office on CorporateOffice.com. This review will be public, so please do not post any of your personal information on this website. If you would like to contact the corporate offices of Amish Furniture Gallery, please use their contact information such as their phone number, website, and address listed above to contact them. However, sometimes staff from Amish Furniture Gallery headquarters do read the reviews on this website.